Netflix has released the first trailer for Paddleton. The world's largest streaming service enters 2019 hoping to not just keep, but further cement their position as the king of the streaming game. Much of that is going to involve releasing a great deal of premium, original content. In this case, we've got a new movie from the Duplass Brothers, which also stars Ray Romano in a rather rare movie appearance. The trailer sets the tone quickly, which is dark, but not pitch black, comedy that centers around two friends doing their best to deal with terrible circumstances thanks to an unexpected tragedy. It's a balance between getting the most out of life while they still can and facing the grim reality of knowing life will come to an end sooner than expected. The real selling point is the chemistry between Ray Romano and Mark Duplass, who play off of one another very nicely. This movie looks like it's going to ride or die based on their performances and how they work with one another. If so, this appears to be in good shape. 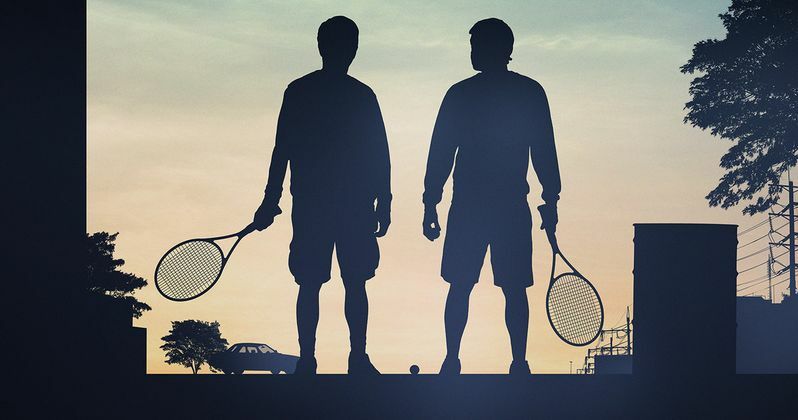 Paddleton centers on an unlikely friendship between two misfit neighbors (Ray Romano and Mark Duplass) which becomes an unexpectedly emotional journey as the younger of the two is diagnosed with terminal cancer. In addition to starring in the movie, Mark Duplass also co-wrote the screenplay alongside Alex Lehmann, who is also in the director's chair. Lehmann has worked a great deal as a cameraman in the business previously, with nearly two decades of experience under his belt. As far as directing goes, his previous work includes 2016's Blue Jay and the documentary Asperger's Are Us. This marks the first part of a four-movie deal that Duplass Brothers Productions made with Netflix last year. The streaming service cut a similar deal with Adam Sandler previously, which seemed to work out quite well for everyone involved. Though, critically speaking, Mark and Jay Duplass have a bit more solid of a track record in recent years. It also doesn't hurt having Ray Romano on board. Outside of appearing on the small screen for years in his sitcom Everybody Loves Raymond, the comedian simply doesn't show up in a movie all that often, especially in recent years. But when he does, he makes it count, such as when he appeared in 2017's The Big Sick. Netflix is spending more than any other studio in Hollywood right now on original streaming content and this is just one very small piece of that large puzzle. At first, many of the company's original movies weren't anything to write home about, but the tide has been turning as of late and this looks like it could possibly be another very solid addition to their catalog. The movie is produced by Mel Eslyn, Alana Carithers, Sean Bradley, with Mark Duplass, Jay Duplass and Ray Romano serving as executive producers. Paddleton is set to drop on February 22. Be sure to check out the new trailer from the Netflix streaming YouTube channel below.